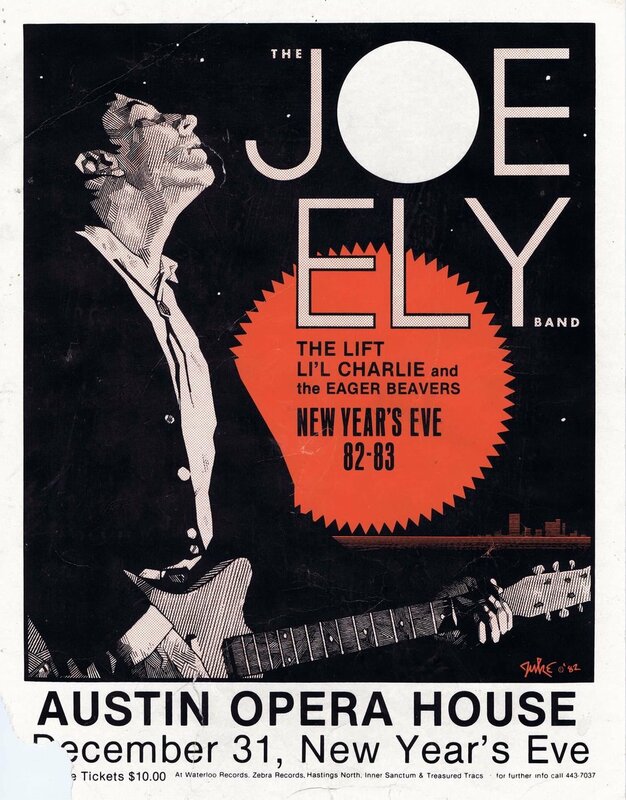 The South Austin Museum of Popular Culture collects, conserves, and exhibits vintage posters and live music ephemera from the 1960s through today to educate future generations on the rich and unique culture that makes Austin the Live Music Capital of the World. SouthPop seeks to enrich a growing and changing community by becoming the premier source in Texas for art and artifacts of local music history from the 1960s to the present and its impact on local, national, and international culture. The South Austin Museum of Popular Culture (SouthPOP) is a 501(c)3 non profit arts organization, founded in 2004. SouthPop is dedicated to being a world class archive and repository of Austin music related art and ephemera. The Museum seeks to create a dialogue between the established and the counterculture, the past and the present, in an environment that is responsive to the challenges of the Austin music art scene, while being accessible to a public that ranges from scholars to senior citizens to young people. Through the leadership of its Board and staff, SouthPop manifests this commitment by establishing, preserving, and documenting a Collection that reflects the vitality, complexity, and unfolding patterns of Austin music and counterculture; through exhibitions and educational programs. SouthPop seeks to enrich a growing and changing community by becoming the premier source in Texas for art and artifacts of local music history from the 1960s to the present and its impact on local, national, and international culture. SouthPop stands at the crossroads of Music, Art and History. SouthPop works with researchers, documentarians and authors to provide them with imagery and information for their projects. To date we’ve provided imagery to Joe Nick Patoski’s Doug Sahm documentary, the Foo Fighter’s HBO special, Mike Judge’s Tales from the Tour Bus, Ken Burns for a new documentary about the 1970s and the Country Music Hall of Fame Museum for their two year exhibit about the Country Outlaw music scene. Three graduate students have worked on their theses at SouthPop and one Ph.D. student has utilized SouthPop’s archive for his dissertation. SouthPop collects posters, photographs, vinyl records, clothing, hair, backstage passes, buttons, books, clothing, newspapers, sculpture, drawings, paintings, serigraphs, murals, musical instruments, toys, signs, neon, journals, scrapbooks and other items that relate to the Austin music culture scene. Austin has always been a city of change and will continue to be so. We want to educate the population about Austin’s unique culture and where it came from to further appreciation and understanding of the here and now and where we are going next. Newcomers love this city too and we’ve found they want to know more. It’s up to us long time residents to work to retain what’s special about Austin, Texas. Last item(s) donated: December 2018: paintings, newspaper covers and signage from Threadgill’s World Headquarters and a batch of 16 rare posters from Adam Meltzer, the Poster Sultan. SouthPop’s Memorial Wall celebrates individuals from the art and music community who contributed to Austin’s unique culture. Began in 2004 with one photo and now there are photos and biographies lining over 120 feet of outside wall space.